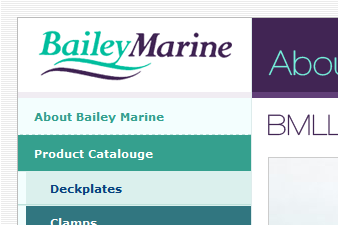 Bailey Marine are globally recognised in the marine industry for their superior marine fittings. Their client list includes big names such as the RLNI and Sunseeker. The new design makes strong use of company colours to enforce the company image. The site has been designed for speed and simplicity in mind. Use of XHTML and CSS technologies are exploited to ensure the site is a fast, accessible low maintenance site.